at Acoustic Music Records, which gave him a lot of excellent reviews. 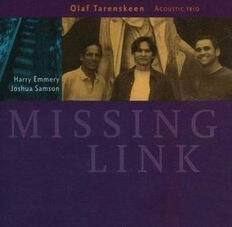 belongs to the great composers and players like Al Di Meola. 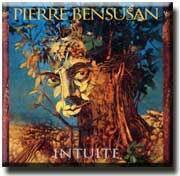 Pierre Bensusan Intuite 2002- Acoustic Music Records. Kadourimdou which has jazzy feelings and a strong melody line. The Welsh Arrow shows his ability to play folk and Irish music. 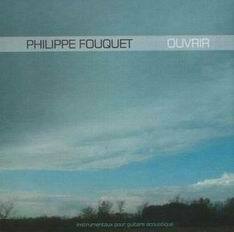 first solo album an acoustic guitar and it tastes like a good French wine. like Marcel Dadi, John Renbourn and Pierre Bensusan. shows his classical techniques and Baroque playing abilities. style. Le Indicible moves you in a well balanced melody. is dubbed with a second guitar the result is overwhelming. from the begin to the end of the album in passionate melodies. 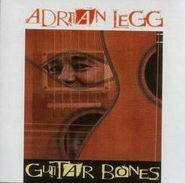 Adrian Legg has a long history as an acoustic guitar player. 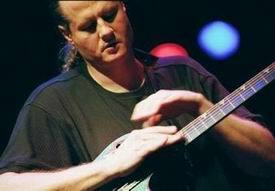 Legg has had many awards for his great guitarplaying. reach from country, jazz, folk, rock to classical music. whichwill surely impress a critical fingerstyle guitar audience. Bomber, which shows his dazzling guitar solos and great technique. own creation of this song with unique technical playing capabilities. Band is rewritten by Peter in a very attractive and percussive way. this well known classic song with his percussive way of playing. great talent she is ready to impress any listener. Don Ross is a very well-known fingerstyle guitarist from Canada. It is probably hardly a country where Don Ross has not performed. last year he played on the famous Open Strings festival in Germany. 12 tracks, some have been earlier released on his earlier albums. a very rhythmic and percussive and has a very nice melody line. This Dragon wont sleep another percussive and melodic track. melody line. Catherine a lovely ballad with a percussive structure. fine strong techniques and melody line/composition capabilities. Don Ross shows what talent any guitar player dreams off. this to well as Hedges was a pioneer and if he still had lived who knows..
and intimate.On Five OClock John has some Spanish influences created and I guess JohnMcKone will surely impress any guitarist with his playing. 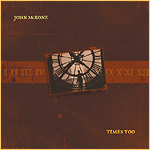 So if you want areal other sound than the average guitarist John is an excellent choice.JohnMcKone swings, slaps, taps and is a most versatile guitarist I fell in love with his creativity, balance, timing and melodies, what can one wish more? 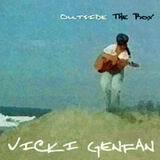 Vicki Genfan Outside the Box. fingerstyle guitarist, but she is a very good composer and singer too. Joni Mitchell. Impossinova is a bit like the title says Bossa Nova music. lines reflect great inner visions with intimacy in her guitar technique. guitar album, but first do enjoy her album Outside the Box. Paul Abbott Unsung Rhythmicon Records. 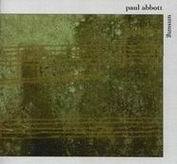 Paul Abbott is a fingerstyle guitarist from California. knows to play versatile moods and techniques on Unsung. has a very moody atmosphere and has melancholic traces. rhythmic patterns. Habitat has some Celtic influences. with excellent techniques and very superb melodies. good timing and music which really moves you. melody line building, she knows to capture a listener. playing techniques with a deep penetrating bass line. patterns which make this composition very unique. off touching melancholic and experimenting music. heard this last years in acoustic guitar music!